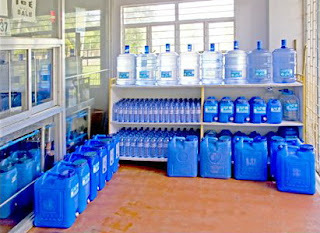 A Water Store is a pleasant retail location where water is purified on-site. 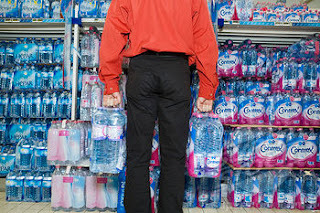 Customers either bring empty bottles to the store or buy empty bottles at the store to fill with water. 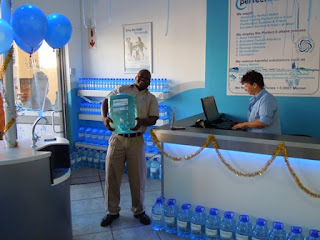 Customers fill their own bottles in the store and apply the cap and then pay the number of gallons of water they filled at extremely competitive prices, usually 40 – 60% less than what they pay for their 5 gallons bottles delivered to their houses, offices, or businesses. Delivery costs are the single largest expense of a bottled water company, especially now with the high unpredictable fuel prices. Operating a water store will save you that hassle and save a LOT of money for your customers while keeping your margins high. Since it is the customers who fill their own bottles, the water store does not fall under the stringent FDA rules and regulations that bottled water companies have to meet (local laws vary). 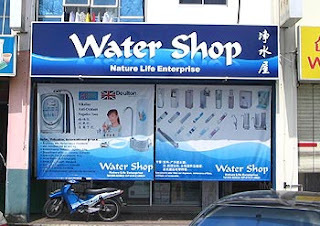 The water store can be a one stop shop for all customers needs. You’ll be a trusted professional building relationships. Your client portfolio can stretch anywhere from 2 mile radius to 10 miles radius through word of mouth and excellent customer service. You can promote, rent, lease and rent residential machines to end users generating extra income, and creating a start-up for a growing promising business. The world bottled water market represents an annual volume of 89 billion liters, and is estimated to be worth US$ 22 billion. 75% of the world market is still controlled by local actors. More than half (59%) of the bottled water drank in the world is purified water, the remaining 41% being spring or mineral water. While bottled water originates from protected sources (75 percent from underground aquifers and springs), tap water comes mostly from rivers and lakes. The World Health Organization (WHO) estimates that in 2003, approximately 1.1 billion people had no access to safe water and 2.4 billion had no basic sanitation. Most importantly, dirty water is often the cause of ordinary childhood diarrhea, a leading killer of African children. 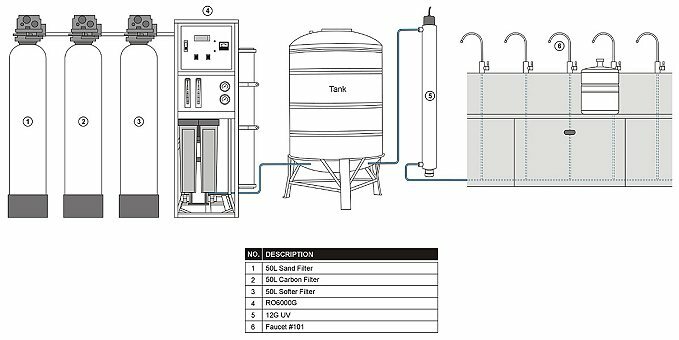 Pretreatment System: It consists of Sediment Filter, Carbon Filter, Dual Tank Softener, Booster Pump, all sitting in a stainless steel Matrix. Storage Tank: ISO approved storage tank system with air filtration. Post Treatment: Water goes through UV light for extra purity and security. Installation Fee, Installation Kit, Consumable Kit. 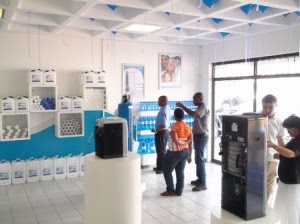 The water store satisfies a need in the market for a source of low-cost high purity water from a business that the customer can trust. Catering business, beauty and facial, and the list goes on. Preferable to be on a strip Mall, next to a residential area. Visible Location: On a main recognizable street, or corner. Recommended space is between 800 – 1200 SQF. 3– 5 weeks from date of receiving order with payment. The large bottling systems are designed for the 3 gallons, 5 gallons, and 6 gallons. The Turnkey system consists of either semi-automated system or fully automated. The advantages of Semi-automated systems are a highly durable product with a minimum initial investment, as well as being an ideal product where labor is inexpensive. 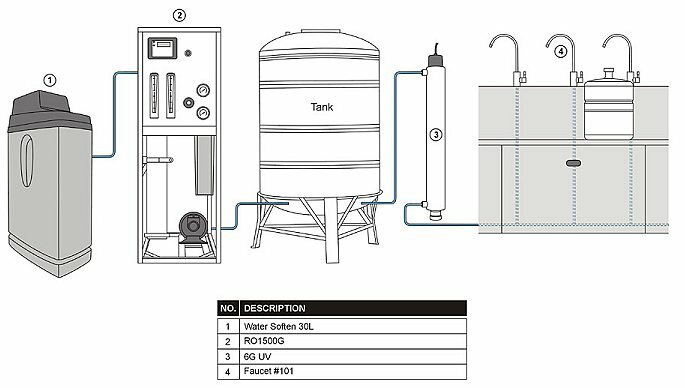 Water Shop employs The 6 Phase Process, the most advanced technology to purify drinking water, able to remove poisons like insecticides, herbicides, dioxin, endocrine disruptors and heavy metals, as well as pathogenic bacteria and viruses, resulting in clean, pure and tasty drinking water. Remove dirt, sludge and other solids. Removes chemical compounds, pesticides, hormones, chlorine & more. Separation process that retains the salts on one side for rejection and allows the pure water to pass through for use. The process by which removed fine particle 0.01 microns provide high quality Water. Killing bacteria and viruses, releasing oxygen and sterilizes containers. Low overhead / high profits.